This is the title of a new book by Monika Linton who started the very successful Spanish food importing company Brindisa over twenty five years ago. The title is an apt one for the book is full of interesting in depth information on the various Spanish specialities together with guidelines on preparing and serving them. Did you know that olive oil gives a really rich flavour to the béchamel paste for traditional Croquetas or that there are almost as many different kinds of chickpeas as there are provinces in Spain? 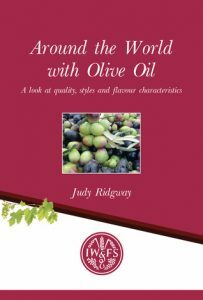 The book also contains plenty of excellent recipes that go way beyond the Gazpacho and Paella of popular imagination of Spanish food. 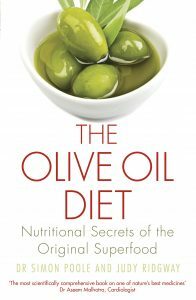 I have chosen two recipes which not only really appeal to me but which are also good choices to include in The Olive Oil Diet which I developed with Dr. Simon Poole in our book of that name. This delicious one-pot dish from the island of Minorca is simple to put together and then it virtually cooks itself. Monika does not state which kind of olive oil to use but extra virgin olive oil will add a good flavour to the dish. Oil the surfaces of a large ovenproof dish or roasting tin with 1 tablespoon of the olive oil, then cut one of the cloves of garlic in half and rub this, too, over the surface. Put in half the potatoes, making sure they don’t overlap too much, and season. Lay half the tomato slices on top, again making sure they don’t overlap, and season. Place the ribs on top and season again. Slice the rest of the garlic and sprinkle over, along with the thyme leaves. Drizzle with half the remaining oil, then put in the sprigs of rosemary, cover with the rest of the tomato, press the slices down and season again, then layer the remaining potatoes over the top, season again and drizzle with the remaining oil. Cover with foil and put into the preheated oven for 20 minutes. Then remove the foil and allow to brown for a further 5 minutes. Serve garnished with a little rosemary. This is a light and fresh combination which is good to serve on its own with a hunk of good bread to mop up the juices. Heat 1 tablespoon of olive oil in a large pan, then add the red pepper and fry for 3 minutes, until sizzling and browning at the edges. Add the courgettes and pinch of salt, plus another tablespoon of olive oil, fry for a further 2 minutes, then add the aubergines and fry for another 2 minutes. Add the sofrito and heat through, then add the chickpeas with their cooking water topped up to 200ml with water, so they are half submerged. Bring to the boil, taste the lquid and add a little salt if necessary, turn own the heat to simmer until the liquid is reduced by half. Take off the heat and stir in the spinach. Leave to rest for a minute and then stir in the mint and serve.